The ArtEC Gallery and Community art centre in collaboration with the Visual Arts Network of South Africa (VANSA) is inviting applications for a 12-month paid internship programme starting the 1st of June 2015. 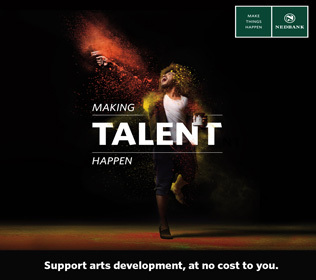 This internship programme is a hands-on skills development program, offering experiential learning, practical engagement in real-time Art projects, with increasing levels of responsibility within the organisation as the internship progresses. Self-motivation, good communication and interpersonal skills are essential to engage and interact within inter-disciplinary practices. attendance of Exhibition openings and events are also required. Good Communication skills; basic administration skills. The final deadline for applications is 15 May 2015. No applications received after this date will be considered. Contract to commence on the 1st of June 2015. This is a 12 month contract and will require a commitment of 2 x 7 hour, days per week. For an application form and further details, please contact Wayne Matthews at the gallery on 041-585 3641 or gallery@artecpe.co.za. Hi Pumla, we sent your query to gallery@artecpe.co.za and we are awaiting their response. Hi Philile, please contact Wayne Matthews at the gallery on 041-585 3641 or gallery@artecpe.co.za. Hello I did not complete my Diploma in Music. I am far advanced though with other training based on the same field of music industry. Do I then apply for the program?